Lately, the area around McKernan, or 76th Avenue has been getting a lot of attention. With the opening of Belgravia Hub and Enzo's on 76th, I've been seeing a lot more traffic in the area and needed to see it for myself. I had decided on meeting with a friend for dinner this past Tuesday night, and whoa. It was busy at 630 on a weeknight. All the tables were full with patrons and the servers were running around. The interior of the restaurant is dim, surrounded by images of Italy on the walls, allowing for a more intimate environment for dinner. However, as there are many tables and patrons within close vicinity to one another, I found it difficult to have conversations with my friend over dinner as it was extremely loud with so many conversations happening at once. We chose to sit at the bar since we didn't want to wait for a table to open up. Word of advice? Always make reservations, even if you're checking out a restaurant on a weeknight! You never know. Anyways, the bar itself is quite high, and it was at a very awkward height for short little me. Even my friend who is much taller than I am found it to be at an odd height, especially if you're eating food at the bar. So we opted for the next available table, even if it meant moving partway through our meal. 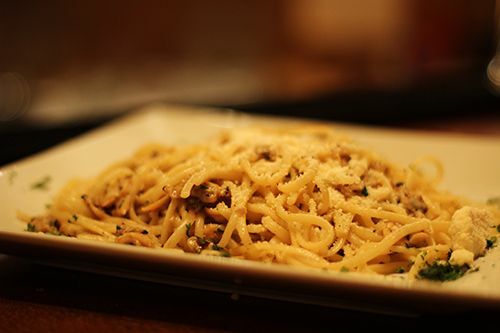 Enzo's offers a choice of six pasta dishes, that can be made with either long or short pasta. Within the varieties, each dish can be customized further with add ons such as prawns, chicken breast and meatballs. My dining companion went with the Vongole Pasta ($15) - baby clams with white wine sauce, and it really was a lovely dish. 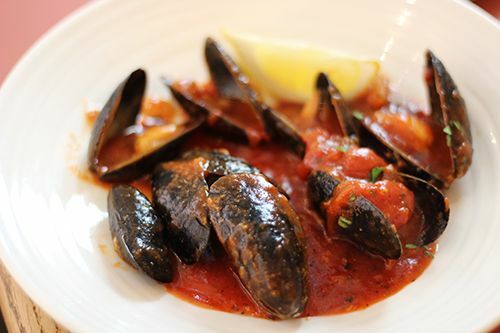 The serving was quite large, typical of Italian cuisine, and was loaded with baby clams. I feel like the clam to pasta ratio was literally 1:1, making this option a really great value. The dish was a little briny, but the pasta was al dente and seasoned perfectly. Topped with some parmesan and you're in pasta heaven. 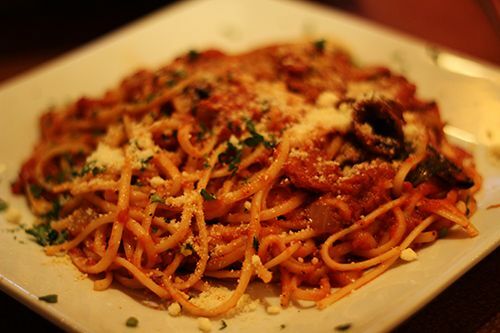 For myself, I couldn't pass up the Amatriciana ($15) - spicy capicollo with mushrooms, and onions in tomato sauce. Once again, the pasta was al dente, sitting in a flavourful garlic, basil and tomato sauce. Although both pasta dishes were fairly large in size, there was no way either of us were going to leave any pasta behind. And trust me, when we finished, our plates were clean. Despite being full, we ordered the Tiramisu ($7) without hesitation as I had heard it's made in house. The soft cake amongst the creamy mascarpone was a delightful finish to the meal - not overly sweet, but enough to satisfy any sweet tooth. Despite being caught in the dinner rush at Enzo's the servers were friendly and took care of us to the best of their ability. The environment is cozy and inviting, while the food is comforting and affordable - something you want to see in a neighbourhood restaurant. I do have to mention that Enzo's is open from 11AM - "close" daily, meaning that they're going to be open as long as there are customers. 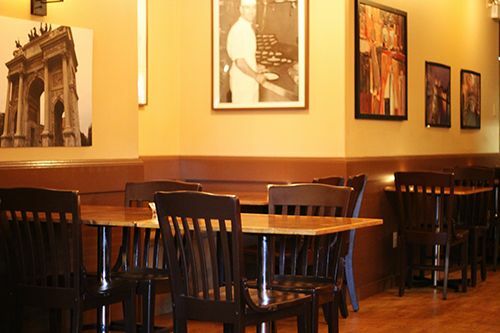 For the lunch hour, they offer 5 different paninis at $8 each, that can be served with a soup or salad for an additional $5. 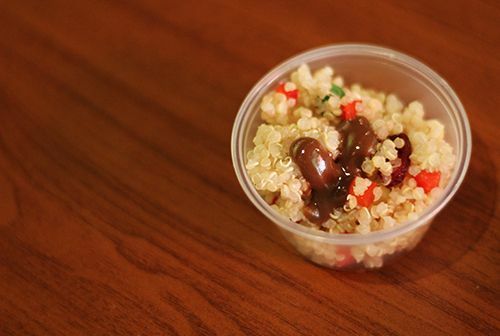 Catering and take-out is available as well, so make sure to check them out. If their current popularity is any indication, make your reservations now. Last week, I had the opportunity to attend the media launch for 2013's Taste of Edmonton (July 18-27, 2013) held at the Art Gallery of Alberta. A beautiful and very fitting venue if you ask me, considering Taste of Edmonton has always been held in Churchill Square just outside the doors of the gallery. For it's 29th year, the logo has been revamped with vibrant blue and green, and the festival has so many different events to partake in. I'm so excited for the festival this year, and wouldn't be surprised to find myself there every single night! To start off, one of the new changes this year is the 9 new restaurants, with 40% of the menu items being new as well. 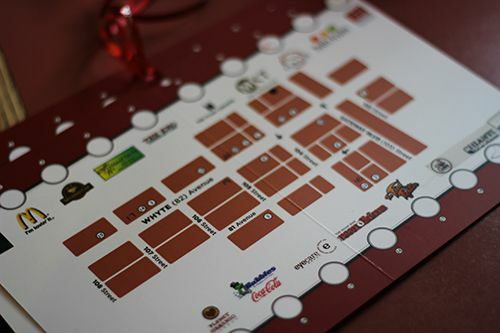 I remember back in the day when I was reluctant to visit Taste of Edmonton, just because it was the same food over and over each year. Kudos to the committee for striving to improve the festival, and for the chefs for being innovative and coming up with new dishes! 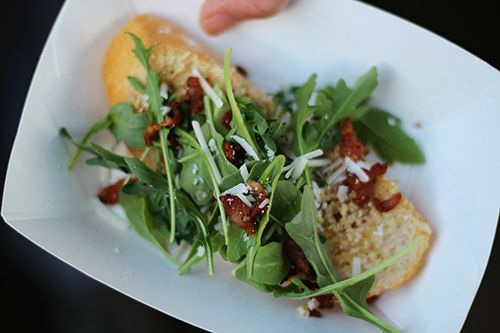 In addition, a total of 7 local food trucks will be featured on the grounds over the course of the festival. 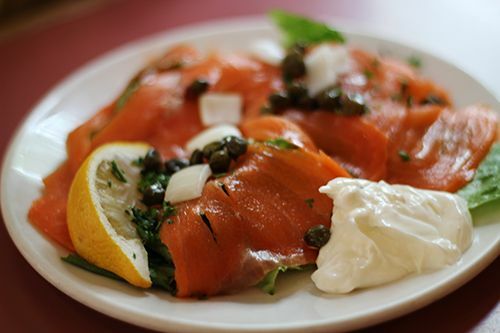 Another great feature is that some restaurants are able to offer regular and large sizes of the same dishes. If you're hungry, try the large! Want a taster? Try the regular. Better yet? The menu has a great legend indicating which dishes are new, feature local ingredients, are vegetarian, contain seafood, are gluten free, or contain nuts. Take a look for yourself here. Brand new to the festival this year is the Sip N Savour venue, which will feature interactive culinary workshops, themed dinners, a specialty food market, and food cooking competitions. Some days will feature more than one workshop, but there's something for everyone, ranging from making gluten-free meals to making cheese and curing bacon. Themed dinners? All will be served alfresco, and run according to the theme of the day. 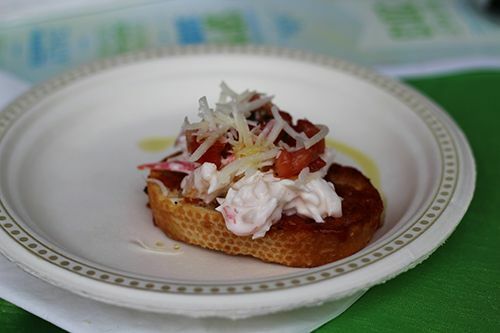 One of my favourite things about Taste of Edmonton has got to be the cooking competitions though. And this year there's three! A Burger competition featuring local chefs, a BBQ baked brownies competition, and a black box competition (think Chopped!) that I will be competing in with my friends Lesley & Addie. Come cheer us on! But what is a media preview without the food? Some select vendors were on site to give us a taste test of the menu in July, and I must say some of these dishes I would eat again & again. 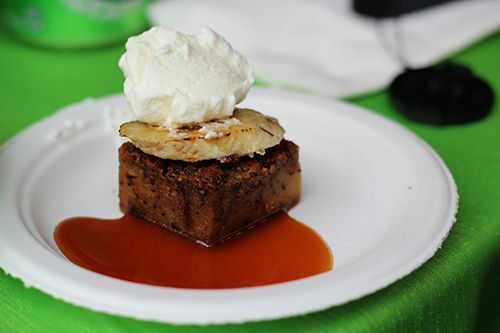 My day started with the Banana Bread Pudding with Chantilly Cream, Caramel Sauce & Bruleed Banana from Zinc. Wow. The bread pudding was moist, dense, and eggy, served up warm and not overly sweet. This dish will be available in both regular and large sizes, but seriously, go for the large! This year, Padmanadi Vegetarian Restaurant will be serving up their version of Chicken Drumsticks (vegan) with a plum sauce. 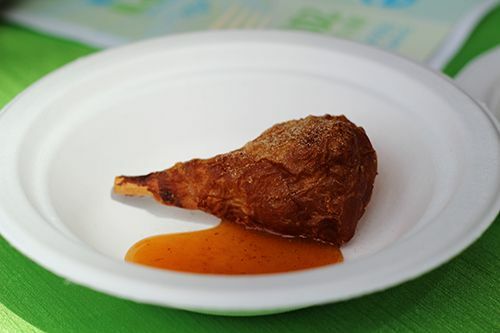 I was surprised by how closely the soy product mimicked the real texture of a chicken drumstick! But I could still tell I was eating a soy product, as it was a little bland and had a slight porous nature to it. It's definitely something different, and unfortunately not something my meat loving self would want to have again. 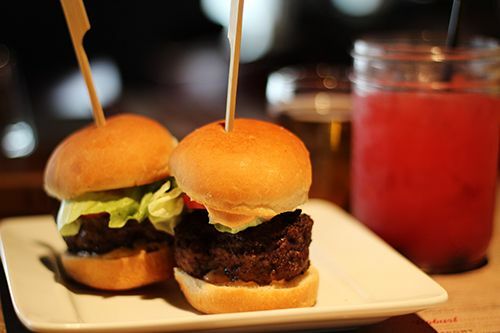 The Hat Resto Bar is offering some Mahi Mahi Sliders and Sausage bites, both dishes available in regular or large sizes. 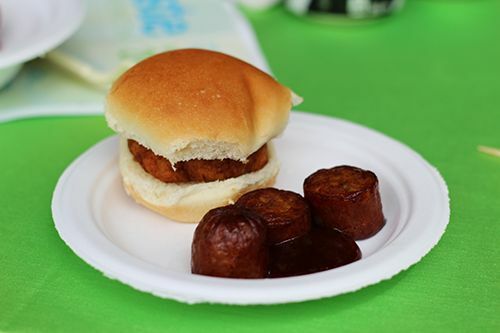 The slider had a slight fishiness to it, and the bun was soft, but a little dry. It could definitely use a little more sauce. The sausage bites on the other hand were quite salty and were served up with a stout sauce. 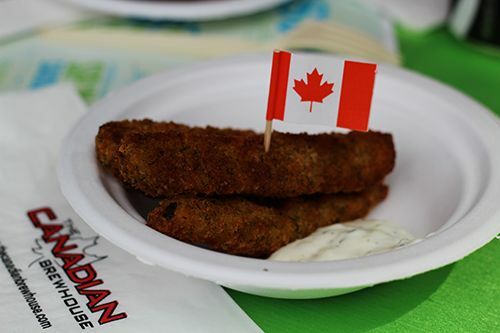 One of my favourite guilty pleasures: deep fried pickles! The Canadian Brewhouse is serving these babies up in regular and large portions, and they won't disappoint! The pickles still maintain a slight crunch, while the coating is crisp and not too salty. And you can show your Canadian pride while you munch away! The Underground Tap & Grill has a seafood crostini as one of their offerings - the crostini itself was quite dry and hard to bite into, but the seafood mix on top was generous, and topped with some tomato and parmesan cheese. 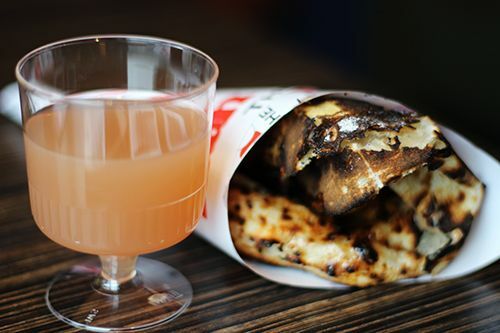 Naan-O-Liscious served up their craisin papri, which will be available in two different sizes. 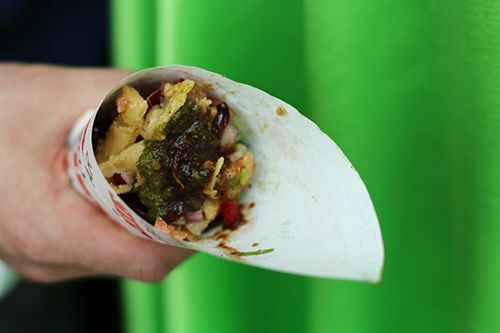 This street food inspired dish is made with samosa chips and chickpea salsa, mixed with mint and coriander chutney, and topped with yogurt and craisins. I actually quite enjoyed the mix, as there was a distinct crunch from the chips, and bold flavours from the spices. The craisins helped tone down the spiciness, adding both texture and an unexpected sweetness to the dish. Mikado is joining the restaurant line up this year, and cooking up their dragon eyes, served up in regular and large portions. The dragon eyes at Mikado are something I always order when I get there - salmon sushi, wrapped up, deep fried, and served with a Sriracha mayo.. mm, gets me every time! 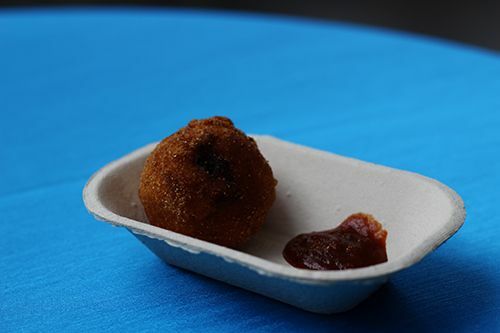 Smokehouse BBQ is offering their famous Pork Balls, which are massive arancini stuffed with pulled pork and caramelized onion. Fresh out of the fryer and these are sure to please with their crisp exterior. Watch out though - they're served with a raspberry chipotle sauce, and its got a kick. 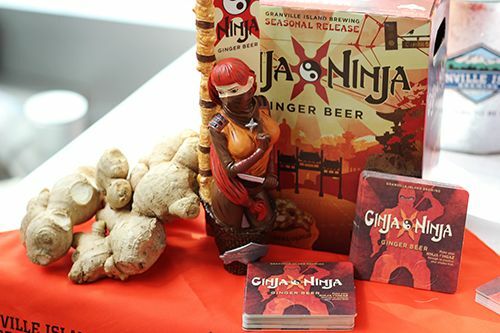 Like, the fire in your mouth kind of kick! 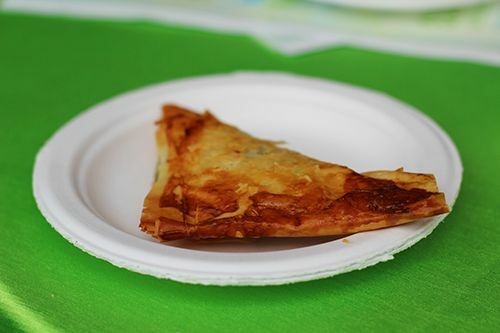 It's All Greek to Me is offering their spanikopita this year, and their version features an incredibly flaky and crisp pastry. 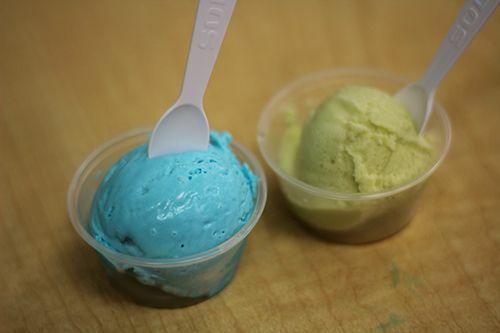 The spinach mixture inside is quite creamy, and flavoured just right so it's not overly salty. 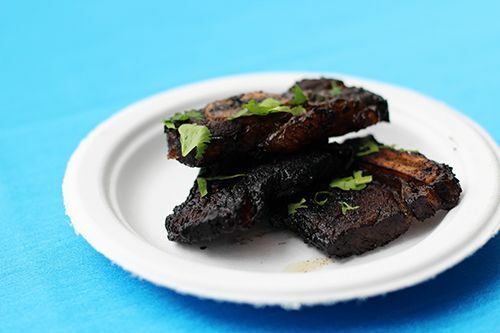 The North Shore Beef Ribs from Mercer Tavern were a huge hit all around at the media release. The Korean-inspired ribs had a nice char to them, and were flavoured with a soy marinade. These were a favourite of mine, and I definitely recommend ordering a large size of this too! 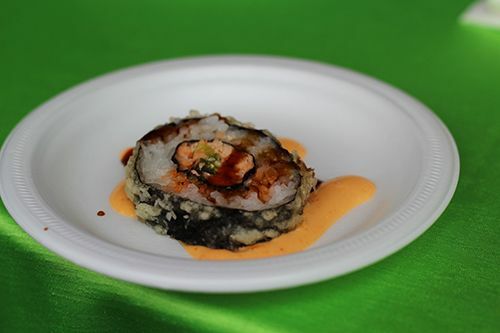 Partway through the event, Zinc decided to showcase their second dish for Taste of Edmonton: Crispy avocado roll with cilantro honey pesto. 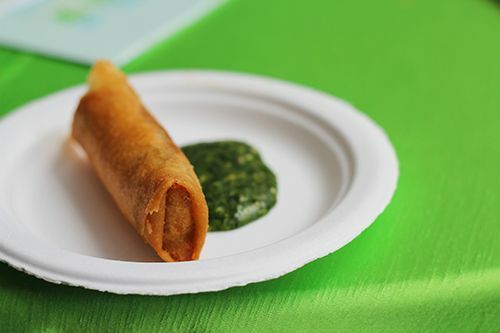 The spring roll was fried to a golden crisp, with a filling similar to that of guacamole. The pesto unfortunately didn't do much for me as I'm anti-cilantro, but the roll itself was tasty. At the end of the meal, I finished off with some churros from The Three Amigos, covered in chocolate and caramel sauces. Unforunately, the churros were quite dry, which I think can be attributed to having made them in advance and storing them at the event. 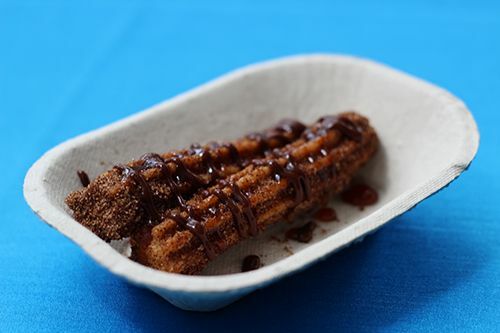 If they are made on the spot at the Taste of Edmonton grounds, the hot churros could be amazing! 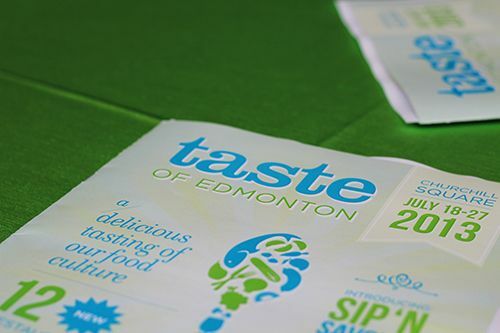 Having had the chance to try out a variety of the food available to sample at Taste of Edmonton this year, I think it's going to be a great celebration of local restaurants - just cross your fingers that this rain we've been getting lately is ready to stop! The themed events at Sip N Savour are going to be a blast, so let me know if you're planning on attending any interactive sessions or dinners! And don't forget to stop by on July 21 for the Black Box Competition to see yours truly competing! Disclaimer: as this was a media preview event, views expressed in this post are solely mine. I was not expected to feature this event on my blog, nor obligated to do so. This post is 100% my opinion, and as always, my priority is to you, the reader, to present an unbiased, thorough review. After attending Indulgence last year, I wasn't sure whether or not I wanted to return based on my experience of the event. But when the time came to buy tickets - I jumped on that train and decided to give Indulgence another chance. 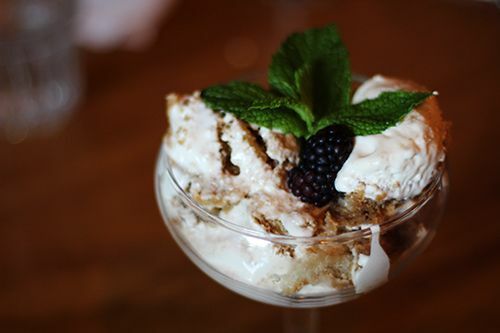 For those of you new to the concept, Indulgence is all about celebrating local food and drink. 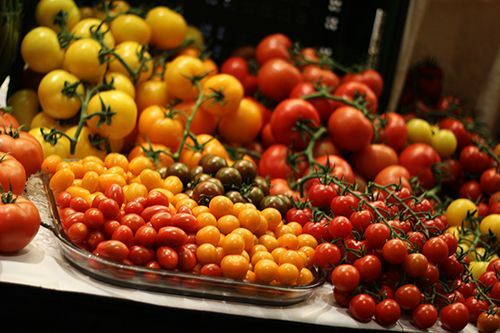 Showcasing local producers and talented chefs. It's a night of food, wine, friends and full stomachs, and this year's event blew last year out of the water. 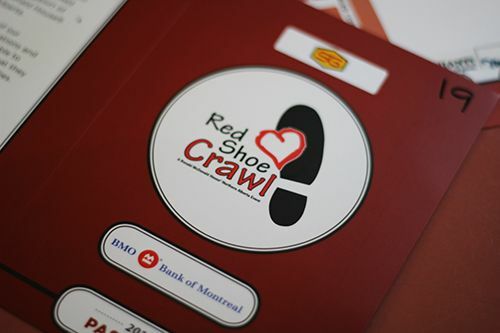 With all tickets being sold out in three days, it's amazing to see how much this city supports it's local food scene. 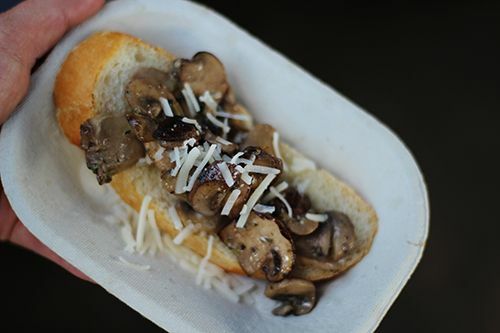 At $62 per ticket, you're given access to dishes from 21 local restaurants and producers, and unlimited wine pairings. 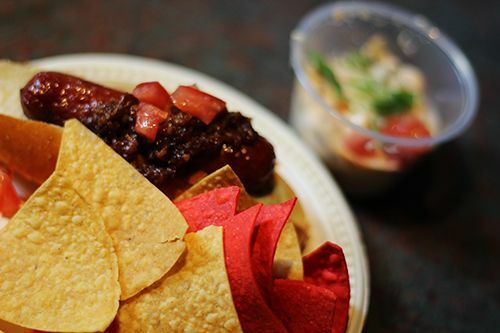 Best of all, this year's beneficiary of sale proceeds went to the Junior League of Edmonton - eating while supporting a good cause is something I would do anyday. As most of these dishes can't be found in restaurants, take a peek down below and have a nice long drool - then hit up the restaurants in the near future to support local food! 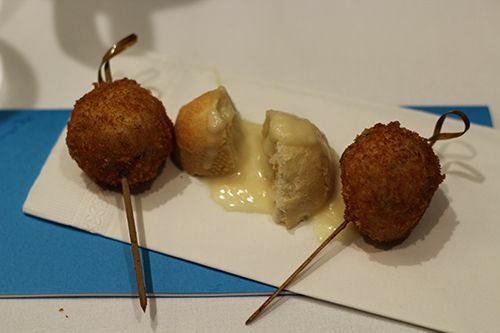 4404 Restaurant: chive & Sylvan Star Gouda arancini lollipop with Calliope Winery Sauvignon Blanc, gruyere cheese fondue. I love many of the cheeses from Sylvan Star, but my favourite has to be their grizzly gouda. It has a wonderful nutty flavour to it! 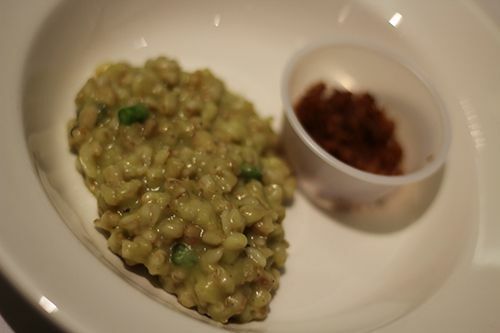 Cafe de Ville: Progressive Foods quick cooking barley, Edgar Farms asparagus risotto & barley beer nuts. This was my first encounter with the quick cooked barley, and I really enjoyed it's chewy texture. Edgar Farms asparagus is no stranger to me though - they produce amazing asparagus, and it's always quickly snatched up at the farmers market! So good. Seriously, give it a try! Happy Monday! Even though it's probably over for some of you, it's still light on my end of the world - but I'm dead tired and just want to curl up under the covers. I spent the entire weekend MIA out in the middle of Alberta enjoying a wedding and the company of friends. Sometimes life is best simple, hey? 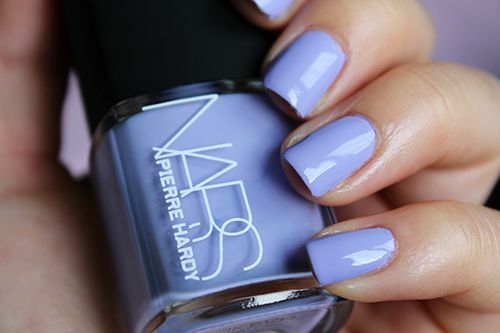 This week I have another polish set from the NARS x Pierre Hardy collaboration to share with you, and I think this is my favourite of them all! In the Vertebra set, there is a coral and mauve polish (to appear next week!) - but I am head over heels in love with Vertebra Left, the coral polish. 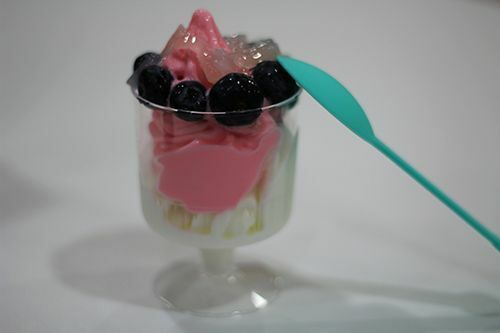 This creme polish is leans quite pink, and can appear almost neon under some lighting. It totally screams summer, and I see myself coming back to it again and again. The formula itself was smooth and very easy to work with, drying to an opaque, glossy finish in just two coats. Wear time with the polish was also wonderful, up to 6 days chip free with minimal tip wear. Unreal. Anyone else tried out this polish set? Let me know in the comments below! Happy Monday! 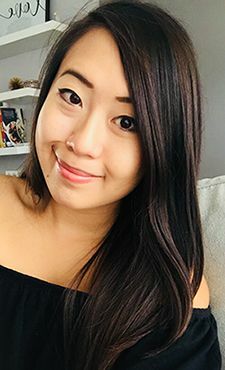 I had such an eventful weekend - hope you guys all had an enjoyable one as well :) It was definitely an off weekend weather wise - lots of intermittent rain, so it was tough doing anything outdoors - but I did manage to stay positive and keep myself busy this weekend! 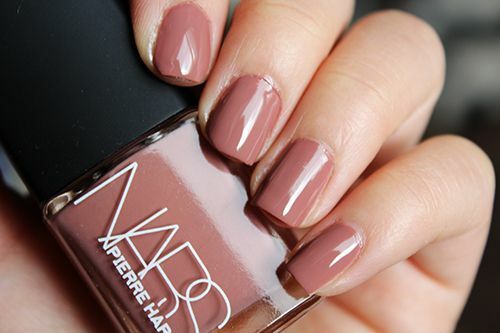 As I shared Sharks Left last week, this week I have Sharks Right from the NARS x Pierre Hardy Sharks nail polish duo. 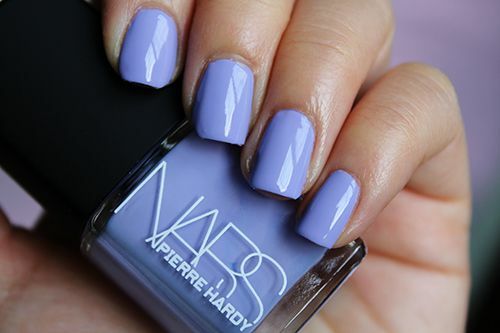 This beautiful periwinkle creme polish looks stunning next to the yellow of Sharks Left. 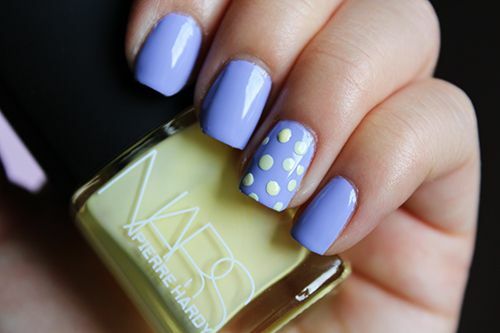 The two shades put together are perfect for colourblocking, so I couldn't resist accenting my ring finger with some yellow polka dots! As compared to Sharks Left, Sharks Right was a little streaky upon application, but only required two coats to achieve full opacity and level out evenly. The wear time to this one was much, much better. With this creme polish, I was able to get a full five days of wear before seeing any chips, making me wonder if Sharks Left chipped quickly due to having to use three coats! The colour remained glossy and vibrant throughout wear, and I will definitely return to this one again in the future. The quality of the polish definitely makes up for the price of the set - perhaps I have to test out Sharks Left again to see if the wear time is better at two coats? 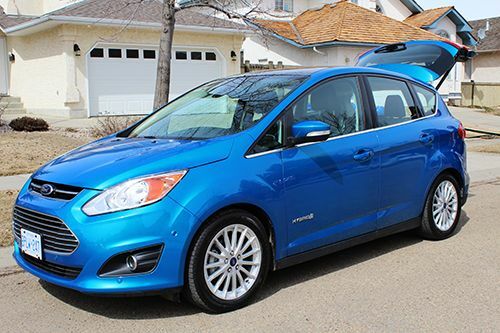 Back in mid-April, Ford of Canada gave me the opportunity to test drive the 2013 C-Max Hybrid for a week. I was pretty excited, as it was my first time having the experience of driving a hybrid vehicle, and I wanted to see just how efficient the vehicle really was. I wanted to see if hybrids really lived up to what they're marketed as. To really put it to the test, I decided to take it down with me on a weekend getaway to Banff & Calgary. But let's talk about the vehicle itself first. The model I was given was such a unique colour - blue candy metallic - and I absolutely loved it. It's one of those colours you either love or hate immediately. This vehicle isn't a crossover, but an actual car, and I had imagined it to be long like a wagon (think soccer moms?). To my surprise, it was shorter and I didn't mind the streamlined shape to it. While driving the car, I definitely sat higher up than I do normally driving in my Civic, so it was nice to be able to see more of the road! The vehicle didn't feel too big as I drove it, and it accelerated as quickly as I would want it to while driving around the city. 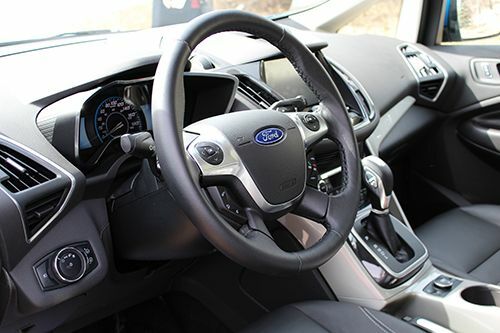 The interior featured leather seats and soft plastic accents, and the MyFord Touch system in the centre of the console. The vehicle itself had plenty of headroom in the front, the seats were roomy and comfortable, and there were seat warmers that could be customized to five different levels for both the driver and passenger. As with the Escape that I test-drove, the touchscreen system in this C-Max was identical. 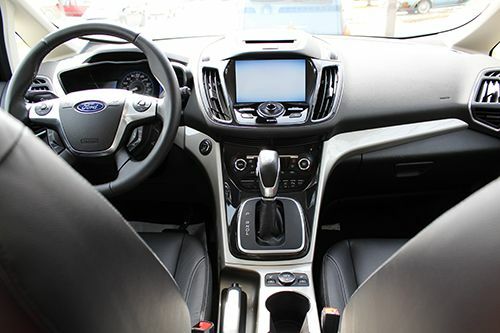 It was user friendly and had tons of great features ranging from bluetooth options and up to date GPS navigation. The Active Park Assist system was also available to me, and it really does come in handy when needing to parallel park into a small space. The rear view camera also featured grid lines to guide the vehicle as you reverse. There isn't much to complain about besides the fact that the climate control settings are a little hard to reach with the gear selector sitting right in front of them. Like most of Ford's newest models, the C-Max Hybrid uses a keyless start, which I actually really enjoy because I can skip digging through my purse to find the keyfob. The drive itself throughout the city and on the highway was smooth and very steady. In the city, I often found myself driving way faster than I perceived, as the vehicle accelerated so quickly and quietly that I didn't notice it at all. Fear not, I got no tickets that week! A great feature of the vehicle was the Brake Coach - a system to teach the driver how to brake efficiently with each stop in order to maximize the regenerative capacity of the brakes to increase fuel economy and reduce wear on the brake pads. The braking energy normally lost is actually used to help charge the car battery. It honestly was great positive reinforcement, cause I loved attaining 100% returns on energy usage! On the highway, the C-Max performed just as well, accelerating quickly but steadily as we made our way down the QE2. For the entire duration of the trip, we used the ECO Cruise control option which is designed to maximize fuel efficiency during cruise control. After driving from Edmonton to Calgary, cruising around Calgary for lunch, and driving all the way to Banff, we managed the trip in less than 3/4 of a tank of gas and the vehicle reported mileage of 6.9L/100 KM. On the drive back to Edmonton, we averaged 6.2L/100 KM which is awesome, considering the manufacturer lists the value to be around 4L/100 KM in the city and 5L/100 KM in highway conditions. Overall, the experience with the C-Max Hybrid was a positive one - I enjoyed the steady ride and it was quite suitable for little me. 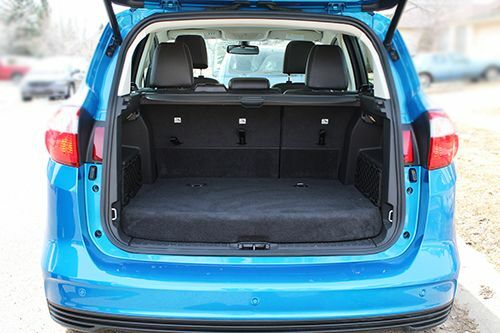 Despite being a small car, there was a surprisingly large volume of space in the trunk - by flipping down the back seats you could get additional room as well. With all the features in this vehicle, the price came out to just under $36 000, but it starts at $25 199. While it may be more expensive than your average vehicle, I think the reason to commit to a hybrid vehicle really comes down to how much you value the environment. In the long run, the amount of money you save from gas utilization could also be worth it. Although the C-Max Hybrid probably isn't going to be my next vehicle purchase, the experience with it has definitely opened my eyes to the hybrid vehicles and I would take the feature into consideration. Disclaimer: This vehicle was provided courtesy of Ford Canada. I was not expected to feature this vehicle on my blog, nor obligated to do so. This post is 100% my opinion, and as always, my priority is to you, the reader, to present an unbiased, thorough review. 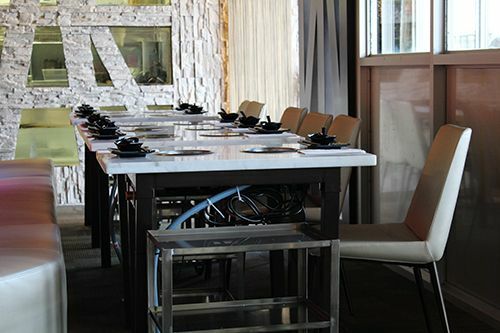 I've always wanted a restaurant in Edmonton to be dedicated to shabu-shabu or sukiyaki. It's something I always seek out while I'm in Vancouver, cause there's nothing like it here! While there's places to have hot pot, sometimes I crave the soy-based broth and not the typical soup seen in Chinese hot pot. I know that Sabu Sushi Bar previously offered shabu-shabu, but I don't know if that's the case anymore. So when I saw the signs for Urban Shabu on 97 St. go up, I was really excited, hoping that there was finally going to be the place I had dreamed of! Urban Shabu has taken over the spot last occupied by Spicy Garden, which I used to frequent as a young child with my parents after Chinese school on Saturday mornings. It isn't really anything to be missed, but walking into this new restaurant made me appreciate all the renovations that were done. The interior is very modern, with marble accents and lots of interesting lighting. On the walls are pictures of various cities around the world, including London and New York - and the white furniture makes the place look and feel clean. Urban Shabu is actually related to Urban China - the restaurants are both opened and run by the same owners, hence the 'Urban' in their name. Having opened just a few days ago, the restaurant was bustling with activity at 6:30pm on a Monday night. Many tables were full of patrons, talking and eating, while a handful of staff walked around helping to bring out food and clean up tables. Now, unfortunately for me, this isn't a restaurant dedicated to shabu-shabu. Instead, it's an all you can eat hot pot place, yet again. Can someone please make my wishes come true!? 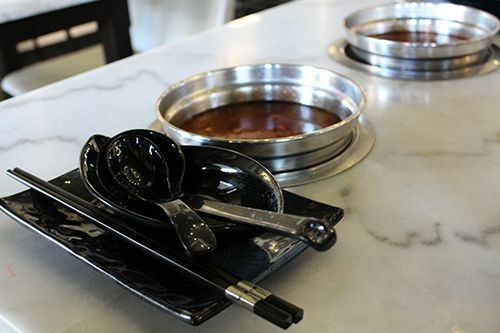 Anyway, Urban Shabu offers individual pots for each patron, with tables able to accommodate groups of 2 or 4, but tables can be pushed together for larger groups. Price wise, it's a little more expensive at $25.95 per person, with $2.00 per specialty soup base (chicken both is free), and no drinks included. 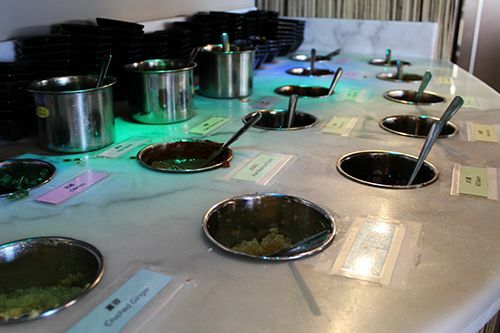 Their sauce bar offers quite the spread of 16 options, including some special sauces like fermented red bean paste, oyster sauce & xo sauce. My one gripe is that they don't have fish sauce - always essential in my sauce mix! Although the restaurant is a little more expensive, they have one of the most extensive lists for food that I have seen here in the city! I counted 90+ "raw" food items, and 6 cooked ones that you can order from the list that is included in the all you can eat price. They also offer some deluxe offerings like sliced geoduck (+$15) and fresh lobster or crab (+$ market price) if you so please. But based on the list included in the price, I was pretty happy with what was available on there. Notable item? 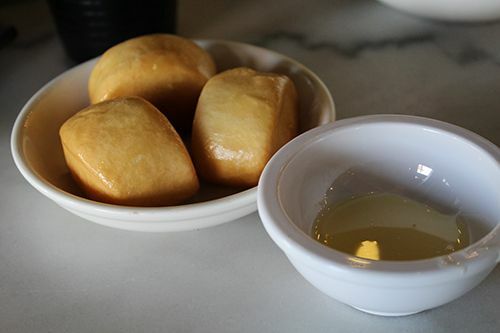 Deep fried buns (man tou), which I loooooove to order when I eat Shanghainese! The soft buns are deep fried to have a crisp outer coating and soft interior, and served up with condensed milk. 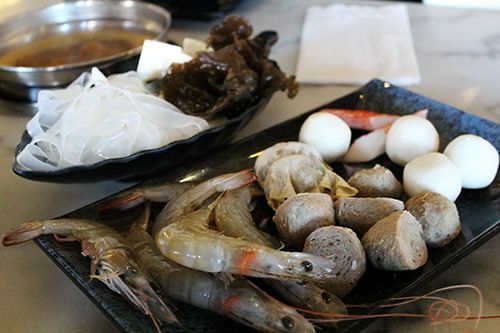 When warm, they're seriously delicious, and Urban Shabu doesn't disappoint! Buns aside, the ordering system here requires you to peruse a sheet of items, and check off everything you want. Within 1-2 minutes of ordering, food starting showing up at our table! Talk about service. 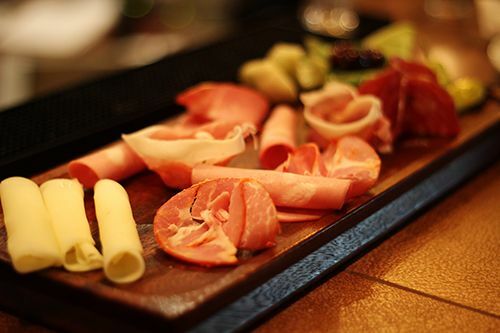 All the items were extremely fresh and thawed out if previously frozen (like beef balls & fish balls), but the shaved meats were definitely sliced upon ordering and sent to the table immediately. Items to note? The shaved lamb and beef were shaved paper thin and incredibly tender, while the lamb didn't have a strong gamey flavour. The white fish balls I also loved, because they were massive in size and had a nice 'elastic' bite to them. And I can't forget their shrimp - wow they were HUGE, literally the same length as my hand. The kitchen did send the ingredients out in smaller portions than I would expect, but for all you can eat, that may be better, as people tend to underestimate how much they can actually eat. For the dessert crowd, Urban Shabu offers four different options after your meal: Japanese Style Sesame Balls, Sweet Tofu, Mango Creme Sweet Soup & Osmanthus Cake. I tried out their soft tofu (dow foo fa) which was very smooth and served likewarm with a light ginger simple syrup - a great end to the meal. I'm pretty curious about the sesame balls though, and will definitely try them out next time! Although Urban Shabu isn't my dream shabu-shabu restaurant, I quite enjoyed my visit. The food was fresh, and individual cooking style gives everyone freedom to cook and eat at their own pace. I had the chance to try out their Tom Yum Goong broth which was very flavourful and I would highly recommend it as a soup base here. There are plenty of staff on hand and they're all very friendly as well - a huge bonus in a self-serve type of restaurant. Based on the environment, food, and service quality, I'd say the higher price is definitely justified. 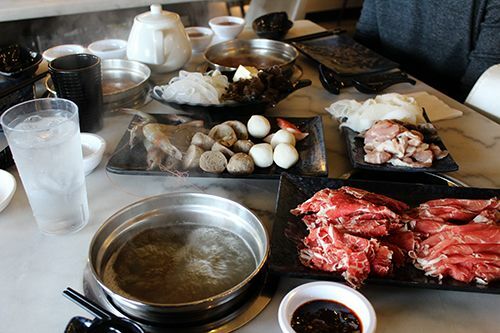 I'll be back when the weather is colder and I'm craving hot pot again, but in the meantime, for your visit, make sure to call ahead and make a reservation ahead of time!